“It kind of feel like a distraction, kind of like a conspiracy theory… it feels like them man trying to distract us or Mark trying to distract us. I think he just want get back in the house, whatever alleged plan them had ain't work and them trying to use this loophole to get back in the House,” he said on the April 2, 2019, edition of ‘Hard Talk’ on Tola Radio VI with guest Cindy R. Rosan-Jones. 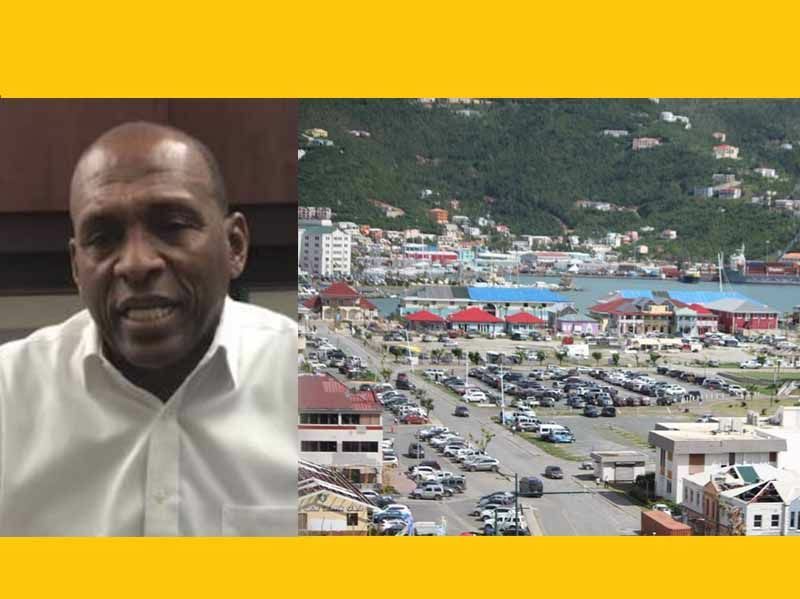 According to Moff, the scenario may be a ploy from the National Democratic Party (NDP) and Mr Vanterpool leading to the conundrum in District 4, the Virgin Islands (VI) House of Assembly (HoA) and the new legal conflict with House Speaker, Hon Julian Willock. “The interesting thing is, whenever the conversation comes up, everybody is saying whoever outside the fourth district ain't want Mark in, but they feel that the people in the fourth district want him in, let we go to the By-election and find out,” Mr Pickering implored. According to guest Ms Rosan-Jones, with all the saga, the territory still doesn’t know what the people of the district want. “Do some polling,” she suggested, while pointing out that it would be good to know what side-line residents without strong party affiliations want for their district. “I stand with whatever their decision is at the end of the day, but we also have to remember that he is a representative or he will be a representative of our House of Assembly and so the wider public should have a view as well,” she said. I am doubtful that the VIP will do a full investigation into the Ovsrspend’s supervision of the Pier Park Project! If they do, it will be interesting to know whether BVI law allows public officials to be surcharged when they overspend their budget. Forget it, VIP won’t take the risk of exposing Claude with this audit. Marks know this so he’ll keep pressing. This Picomoff person obviously thinks he is a budding politician. But this dude needs to leave the 4th district alone. We not interested in his views. We tired of other people telling us what we want. No I am not a Mark fan. I'm looking forward to having Luce in the House. We want a By-Elections now!! Pickomoff will win his district when he decides to throw his hat in the ring. I am sorry for Picko Moff and Cindy. They think they know but they don’t and they do more misleading than taking time to understand things. Common sense: who handles money for the pier park more directly? Mark who was the minister or Claude who was the managing director? Investigating the pier park would be to shed a light on the pier park which would affect Claude who was a major campaigner for vip and now adviser to the Premier. Picko ayo dint have a clue what’s going on. There is nothing more embarrassing than having people talking all the time that think they know and don’t have a clue. Who gave this dude a mike?? I’m not a NDP fan neither am I supporting the D4 representative. But I do agree that this Pikko Moff and this Rosan are two confused individuals and so they working overtime using the various media forms to confuse the public as well. I’m afraid this is not their calling so using their time to criticize and throw people under the bus is just distasteful. I encourage you all to go sit down and please try to find your niche, which certainly isn’t social commentary. The BVI business is our business. So the forth and what happens there don’t just affect the people who live there.